PictureScape allows you to create a custom-shaped display with nearly limitless angles. Design a shape that mirrors your logo or graphics, or choose from several standard shapes. 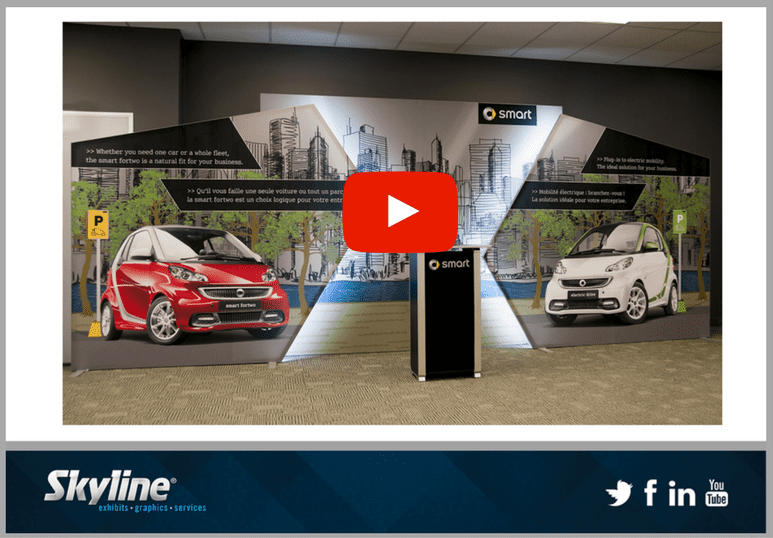 From kiosks, to back wall displays, to hanging signage for large island booths, PictureScape will help you stand out on the crowded show floor. See the power of PictureScape in Skyline’s Video of the Month.